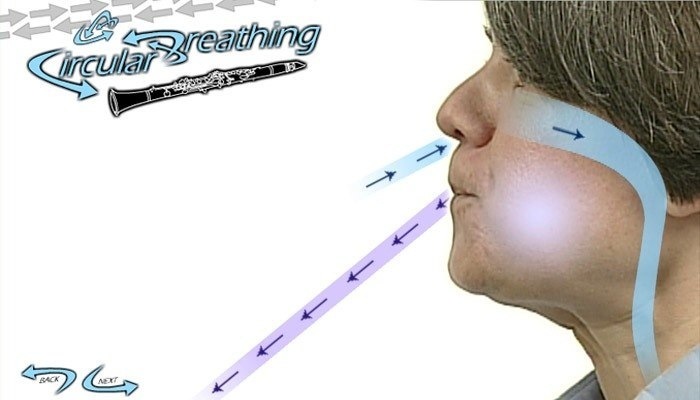 This learning object steps students through a very difficult breathing technique which helps perfect students’ playing. Circular breathing allows a wind or brass musician to hold a note indefinitely while still being able to breathe. The complex procedure has eight steps. Students can step through video explanations of each step while seeing patterns of airflow muscle movement. This entry was posted in learning activity, Music, Video and tagged brass, breathing, fine arts, flash, Music, wind by Britt Carr. Bookmark the permalink.